A car without anti lock brakes is vulnerable to uncontrolled skidding when braking, due to the risk of wheels locking up. The ABS system uses speed sensors to detect rapid decelerations, then controls the brakes through a series of valves positioned on the brake lines. The ABS uses a pump for restoring pressure to the brakes. The system is run by a control unit that processes the data from the sensors and controls the valves and the pump. Manufacturers continue to upgrade and improve anti-lock systems for faster reaction times and greater sensitivity. To find out details about your car’s system, visit Meineke #1740 in Passaic, NJ. Brakes are the most important safety feature on your car. While people sometimes procrastinate on repairs, a problem with your brakes means that you should stop driving your car and get it checked right away. A crucial part of keeping your brakes in good working order is using the right brake fluid and replacing it on time. There are several types of fluid, including silicone brake fluid and mineral brake fluid. Failing to replace brake fluid on time can cause it to absorb a high percentage of water and compromise your brakes’ function. 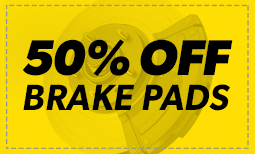 To get an estimate of brake fluid cost for your car, speak with technicians at Meineke #1740 in Passaic, NJ. Vehicles equipped with an ABS brake system generally have a dashboard light associated with the system. Some older vehicles may use the check engine light. However, your car will start to show physical signs during ABS brake failure. It may require more effort to press down on the brake pedal or the pedal may actually be unresponsive. If your ABS brakes need service, you will still have control and use of your regular braking system. This is not a reason to ignore ABS brake service. Bring your vehicle to the trusted technicians at Meineke #1740 in Passaic, NJ for repairs and maintenance. Signs of potential brake failure can appear suddenly or gradually. In some cases, the brake pedal may go out, while in others you may notice a creeping increase in the time it takes to stop your car. Strange noises while braking can also indicate a problem. Faulty brakes decrease the control you have over your car and can lead to a serious accident. If you notice a problem with your brakes, have your car checked immediately. Contact the car repair professionals at Meineke #1740 in , NJ for repairs and maintenance to your brake system. The cost to repair or replace an anti-brake system, or ABS, can sometimes be concerning. 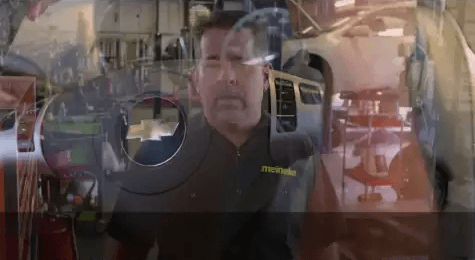 The first thing to do is to bring your vehicle to the specialists at Meineke #1740 in Passaic, NJ. You may only need new brake fluid or just a minor part. It might be that new brake pads are needed. Of course, there could be issues with other brake system components. Our professionals can resolve the problem and see that you’re back on the road safely with a solution that is as cost-effective as possible. If you are thinking about replacing your anti lock system, a reputable service center can help you choose the best one for your car and help you ensure optimal function. Today’s manufacturers are continually improving sensitivity and reaction time in order to improve safety. As part of your brake’s mechanism, your ABS is affected by the type of brake fluid you use. High quality fluid is less prone to clogging your valves, so it is important to know where to buy brake fluid that is right for your system. Ask the professionals at Meineke #1740 in Passaic, NJ about replacing and maintaining your ABS, as well as brake fluid cost.